Online Application Details for Oil and Natural Gas Corporation Limited ONGC-Rajasthan Recruitment of 32 ITI Apprentices is given below. 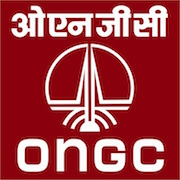 Application form and duly attested documents are to be sent to Chief Manager (HR) Incharge- HR/ER, Rajasthan Forward Base, Oil and Natural Gas Corporation Limited (ONGC), KDM Complex, Mandore Road, Jodhpur, Pin: 342026. In envelope super scribed with 'Application for the Post of Post Name'.